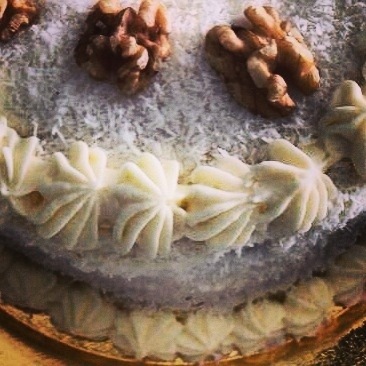 Adreana kindly helped me out last minute and baked a heavenly hummingbird cake for my daughter’s birthday. We did not want to end up with leftovers nor did we wish to overeat today so she made a dainty 8 inch cake. 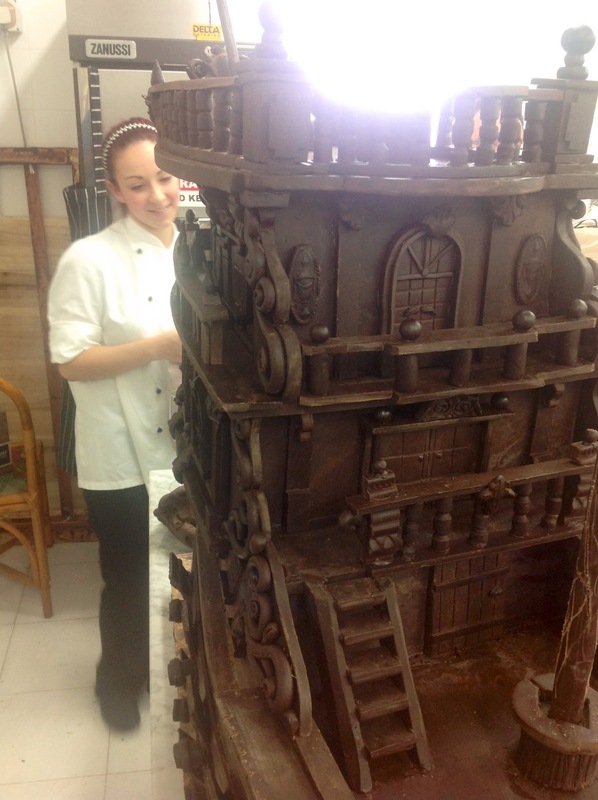 I met Adreanna when I was covering the story of the tallest chocolate building in the world. She is one of the team members selected to go to Dubai to help construct the building. 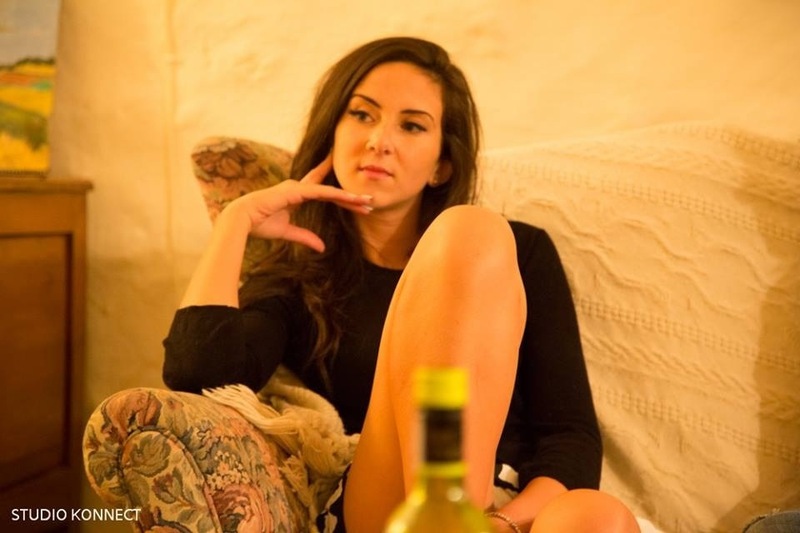 A delightful, creative and hardworking young lady and I like her quiet self confidence and professionalism. I love the photo of her deep in thought while she is helping out on Andrew’s next chocolate project ! I gave Adreana the original Hummingbird Recipe created in 1978 by Mrs L H Wiggins of North Carolina and a lighter version of the original recipe, both published in Southern Living Magazine. 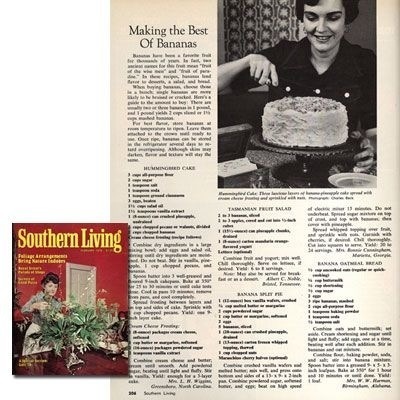 The Hummingbird is the most popular cake in the world today and according to Southern Living the most requested recipe ever in the history of the magazine. We chose the lighter version. And why is it called hummingbird we wondered ? We came across different versions but the best one I like is that it tastes so divine, so sweet, so good, moist and so luscious that it makes you want to hum! Just the thought of my lips coming into contact with those ripe bananas, pineapple and pecans all enveloped in cream cheese and coconut makes me want to fly too ! So I like this reason best…. 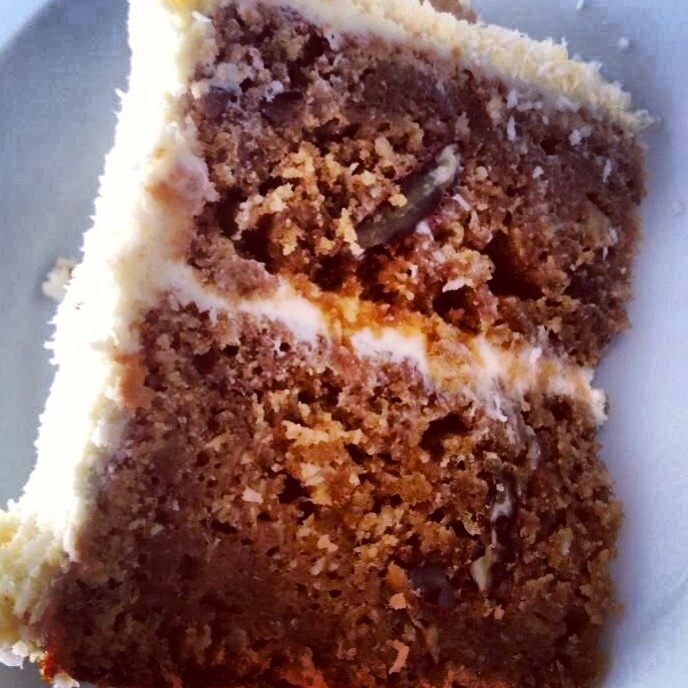 Hummingbird cake will make you happy and you will hum and fly just like a hummingbird ! And I hope that my daughter will have a wonderful day today and that her future will bring a lot of humming and happiness ! This recipe is adapted from Southern Living Magazine. Add the eggs and oil, stirring until dry ingredients are moistened. Do not beat and stir in the vanilla, pineapple, 1 cup pecans and bananas. Pour batter into three greased and floured 9-inch round cakepans.